Photo: Nigel De Freitas, vice president of the senate of Trinidad and Tobago, spoke in Nevis June 20. CHARLESTOWN Nevis – Nigel De Freitas, a history-making parliamentarian from the Republic of Trinidad and Tobago, urged youths of Nevis and St. Kitts to offer themselves to serve at the parliamentary level. De Freitas, who is heading the Trinidad and Tobago delegation, spoke after an invited comment from the Department of Information during a visit to Nevis June 2 as part of the 42nd Annual Conference of the Caribbean, the Americas and the Atlantic Region of the Commonwealth Parliamentary Association (CPA) being held in Basseterre. De Freitas, who is the vice president of the senate of Trinidad and Tobago, is the youngest serving parliamentarian since the twin-island gained its independence in 1962. 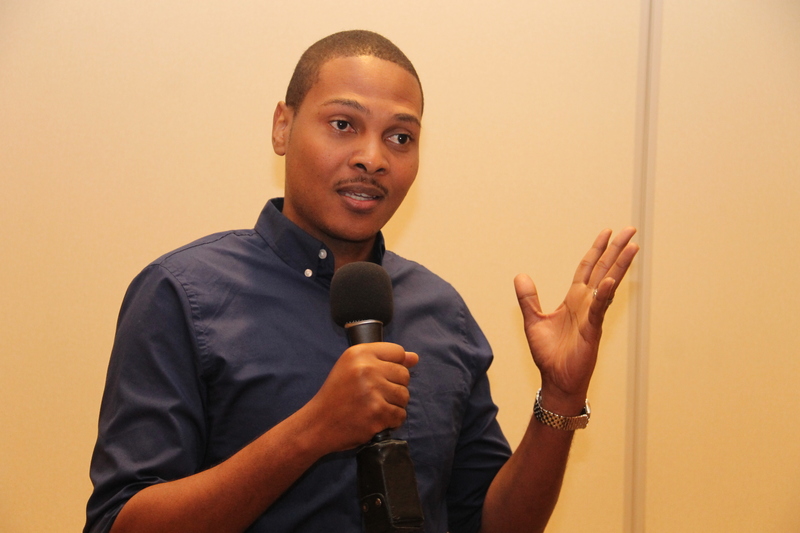 A native of Tobago, he said he is one of several young people on both government and opposition sides who answered a call for them to get involved in politics to take a more active approach in the law-making and development of Trinidad and Tobago.